Here’s a simple PPC tactic that we’ve used to increase AdWords conversions by up to 20% but (for whatever reason) few accounts use: location-based bid adjustments. Location-based bid adjustments let you bid more for clicks coming from more valuable geographic areas. Sounds reasonable, right? It is, and it works! We’ve got screengrabs from different businesses types showing how dramatically cost/conversion can differ between geographic areas. Who wouldn’t want more of the cheap conversions? Pick your maximum customer range. For brick-and-mortar locations think of how far customers will come for your services – this depends on how specialized your business is and how much competition is in your area. 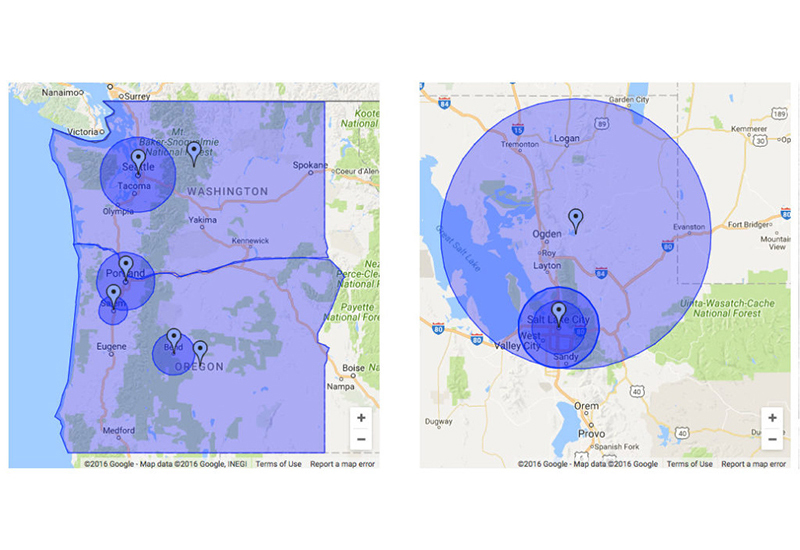 If you’re the only law office in your niche in Boise your max range might be 100 miles; if you’re an urgent care clinic in Seattle it might be 10. E-commerce businesses might pick the entire US or world. Narrow your focus. While you can get customers anywhere within your maximum range, most will come from more specific locations. Maybe it’s a 5-mile radius around your office; for eCom it might be west coast cities. Either way, no matter how broad your ambitions you’ll find most of your successes come from specific areas: your key geo-targets. You probably already have some idea of where your key geo-targets are but if not just list your best guesses – we’ll get data soon. Wait for data. Work on other aspects of your account: check your quality scores, your ad copy, your dayparting, etc., etc. Different people suggest different waiting times: a week, a month, 100 conversions, but usually, we wait until we’ve got a statistically significant difference in conversion rate – use a tool like http://getdatadriven.com/ab-significance-test to determine when you’ve achieved significance. Adjust your bids. 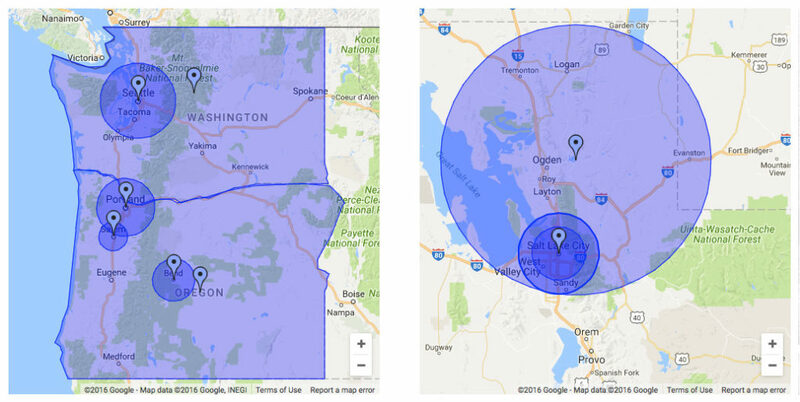 Once you’ve reached statistical significance, set your location bid adjustments. If people within one of your key geo-targets are twice as likely to convert than those in others then – all other things being equal – you should be willing to pay twice as much for their click. Review results. It’s tempting to declare a success or failure too soon after any change. Check your account regularly but wait until you’ve got statistically significant data before making any changes. Most likely, your bid adjustments will work and you’ll see your conversion rate rise ! Reschedule. Like adding new keywords, testing ad copy or new landing pages, adjusting bids by locations should be a part of your regularly scheduled PPC optimization. Like anything else on your schedule, its frequency should be determined by how quickly your data reaches significance and by how big the payoff from your next action could be. We usually find that adjusting bids by location works best on a quarterly basis. YMMV. We’ve simplified our method for the blog so there are a few cases when it won’t work, i.e. your geo-targets have different cost/conversion but share the same conversion rate, or if you’re dealing with very limited search volume. If that’s your case – or if you’d just like some PPC help – let us know in the form below!